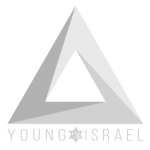 The National Council of Young Israel (NCYI) will honor a number of prominent supporters of the State of Israel, World War II veterans from Young Israel synagogues, and active Young Israel members who have made significant contributions to their respective communities at their upcoming gala. The NCYI Gala will be held on Sunday, March 31, 2019, at the Marriott Marquis in New York City. The event will begin at 5:00 PM with a buffet dinner and VIP reception, followed by the program at 6:30 PM. The keynote speaker is Hon. Kevin McCarthy, the House Republican Leader. Rep. McCarthy, who was first elected to Congress in 2006 and represents California’s 23rd District, has been at the forefront of the effort to combat anti-Semitism, and has been an outspoken critic of Rep. Ilhan Omar for her anti-Semitic remarks. Governor Mike Huckabee, a strong supporter of Israel, will also address the crowd. Pete Hegseth, a prominent journalist and friend of the NCYI, will serve as the Master of Ceremonies. NYS Assemblyman David Weprin, a member of the Young Israel of Jamaica Estates, will also be in attendance. For information and reservations, email dinner@youngisrael.org or visit www.youngisrael.org/ncyi-dinner. For the past 107 years, the National Council of Young Israel has ably served the broader Jewish community. With more than 25,000 member families and approximately 135 branch synagogues throughout the United States, Canada, and Israel, the National Council of Young Israel is a multi-faceted organization that embraces Jewish communal needs and often takes a leading role in tackling the important issues that face the Jewish community in North America and Israel. The NCYI provides religious, educational, Zionistic, social, and communal programming for all its member synagogues and their affiliated families. The Dinner Chairman is Rabbi Yechezkel Moskowitz and the Dinner Co-Chairman is NCYI 1st Vice President Dr. Joseph Frager. The Journal Chairman is Jonathan Burkan and the Journal and Dinner Coordinators are Judah and Carol Rhine of the Young Israel of West Hempstead.